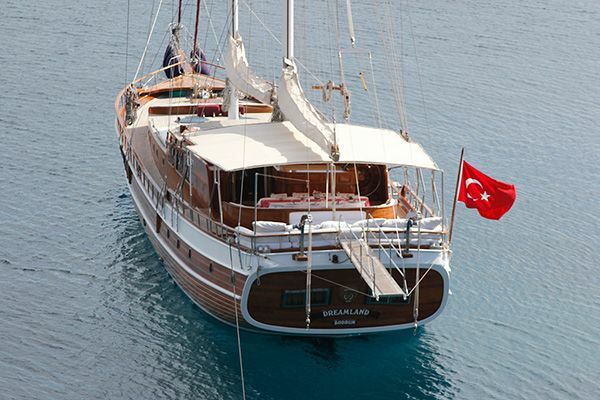 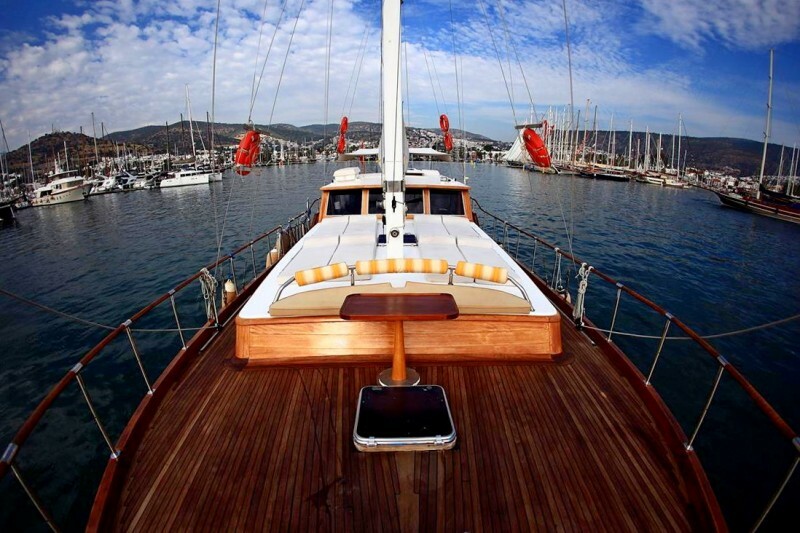 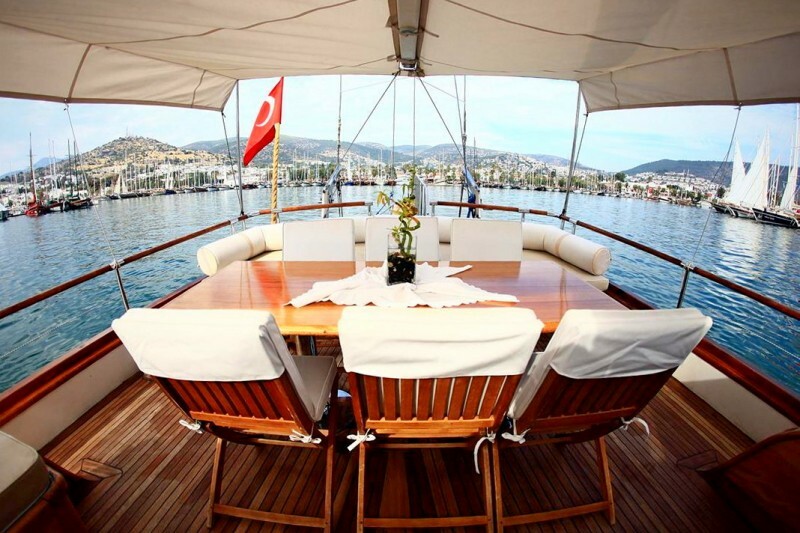 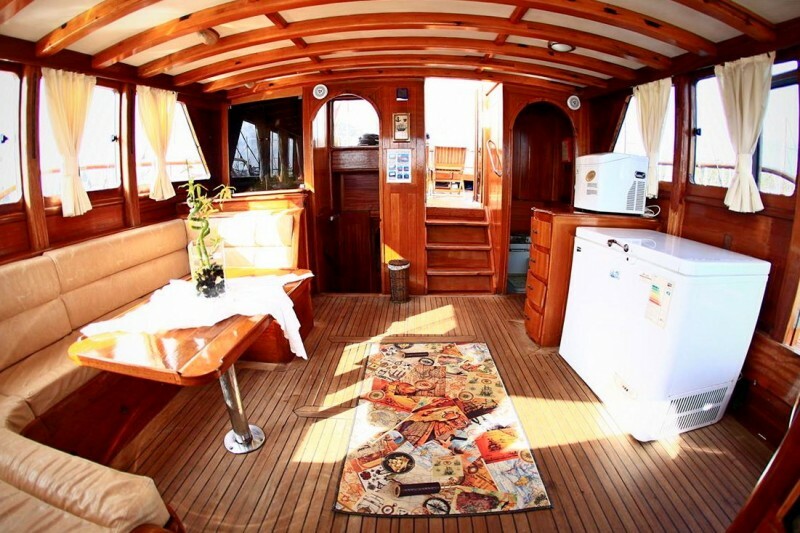 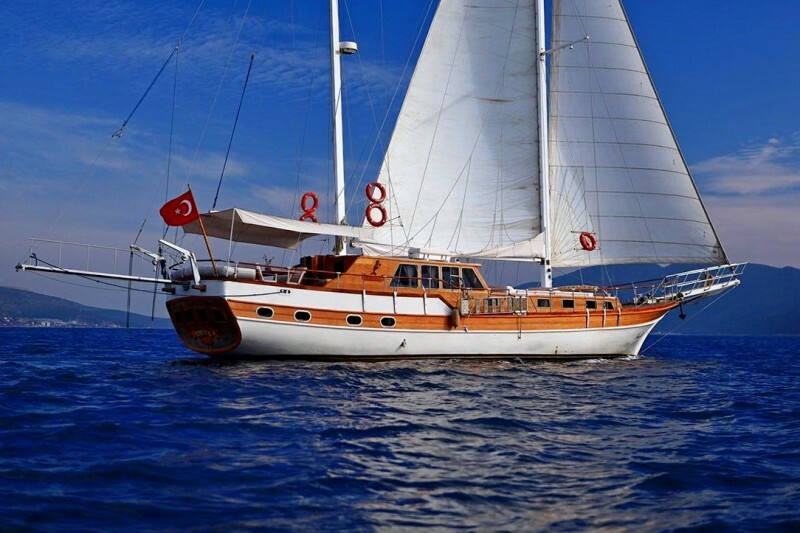 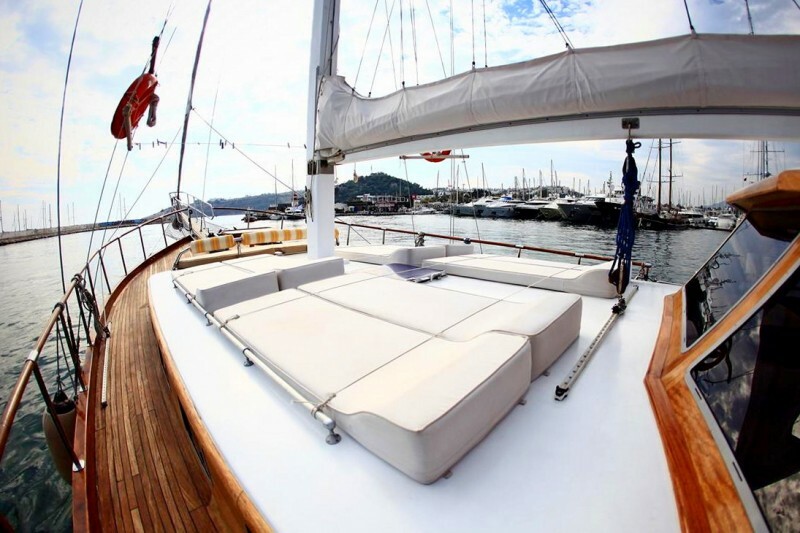 Gulet Denizkizi A, 20 meters 5 cabins private standard gulet in Turkey. 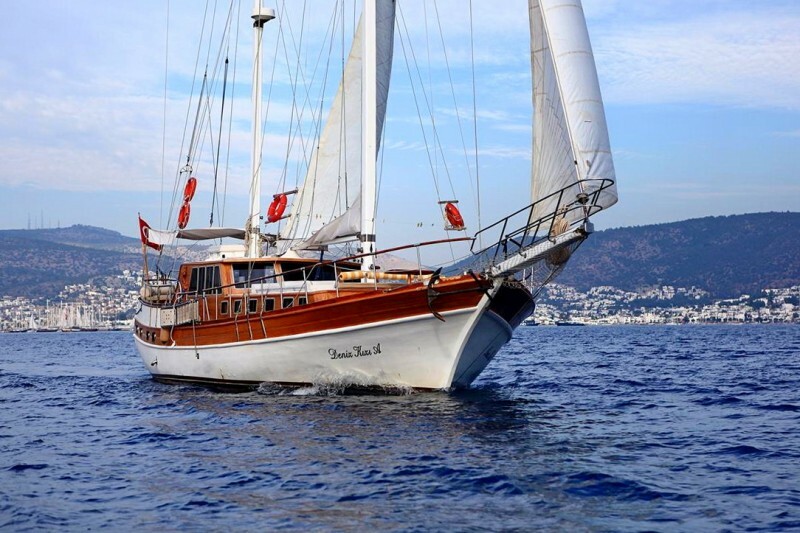 The classic Denizkizi A gulet is a popular choice for groups or a family who want a simple no-frills gulet for excellent value for their holiday cruise. 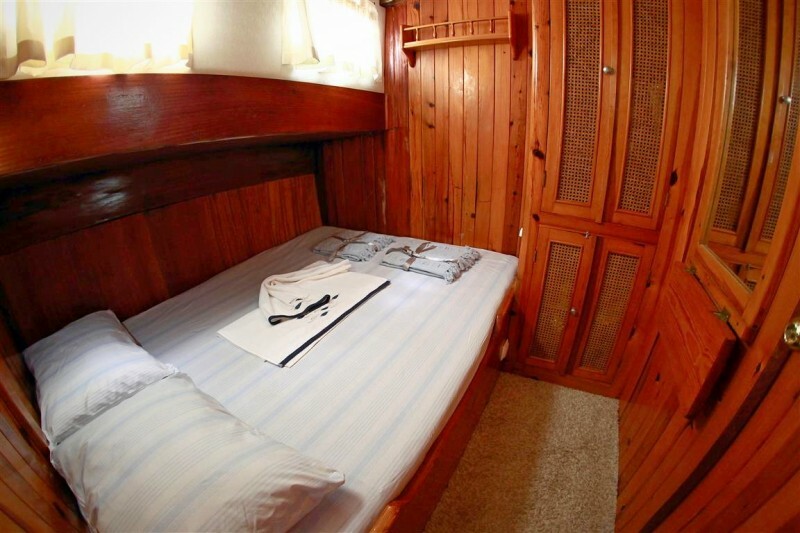 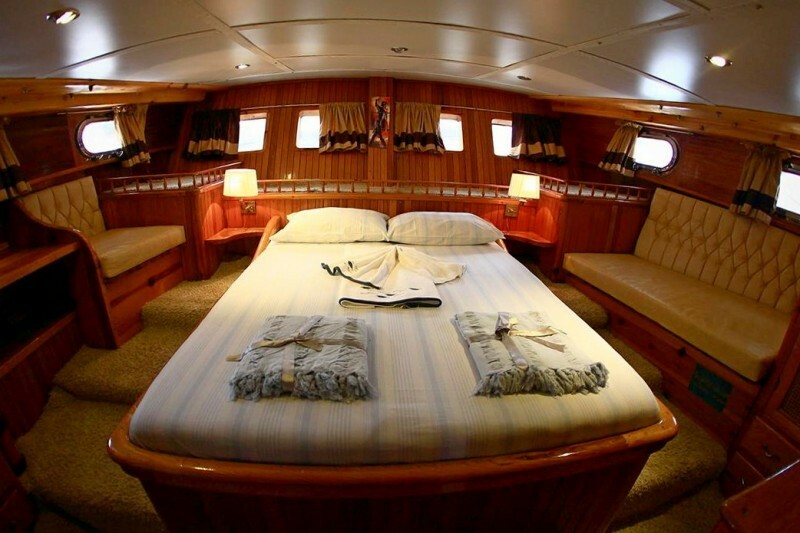 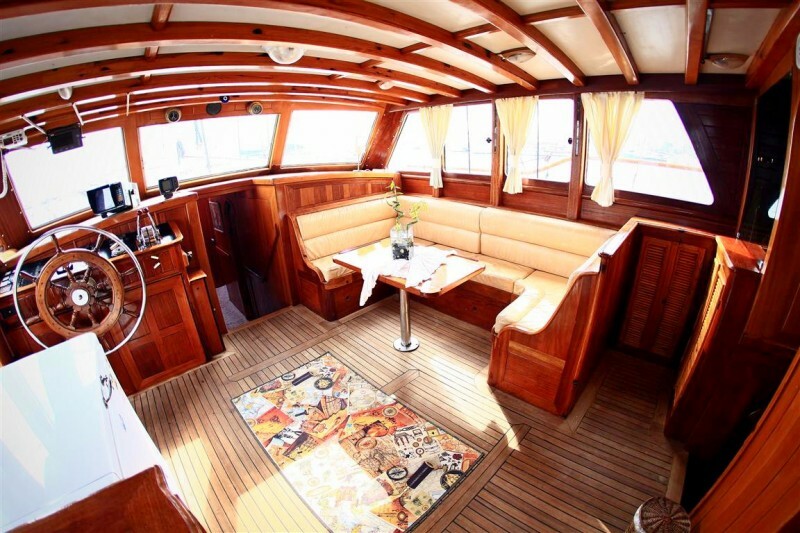 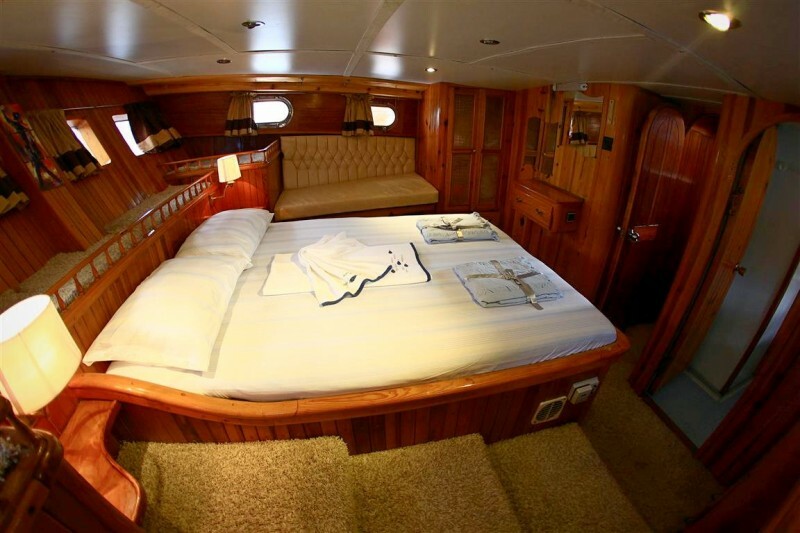 Up to 10 guests can enjoy the comfortable double cabins and the master cabin which is quite spacious enjoying the full width across the beam, and the walkaround double bed well lit by the windows in the stern. 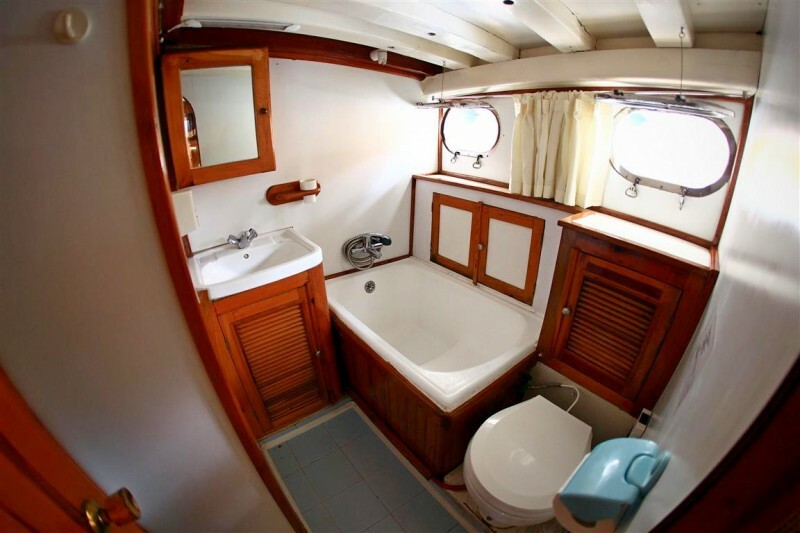 It even has a bath with a showerhead in the private bathroom. 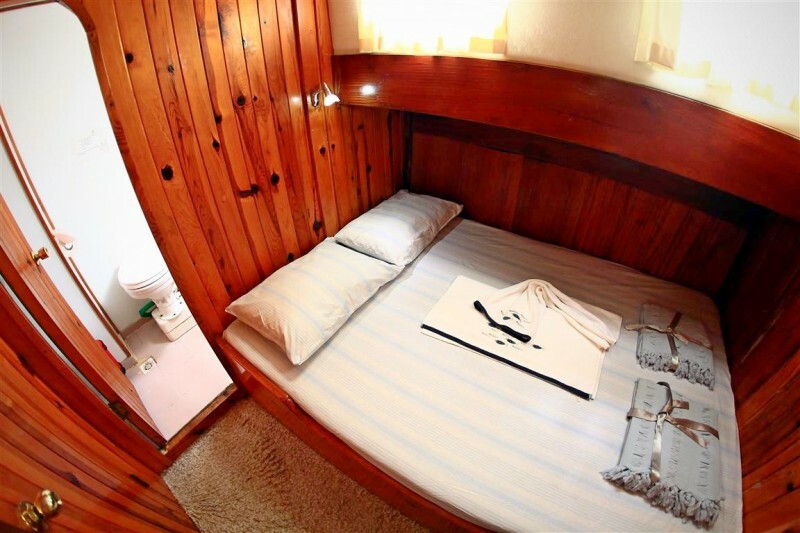 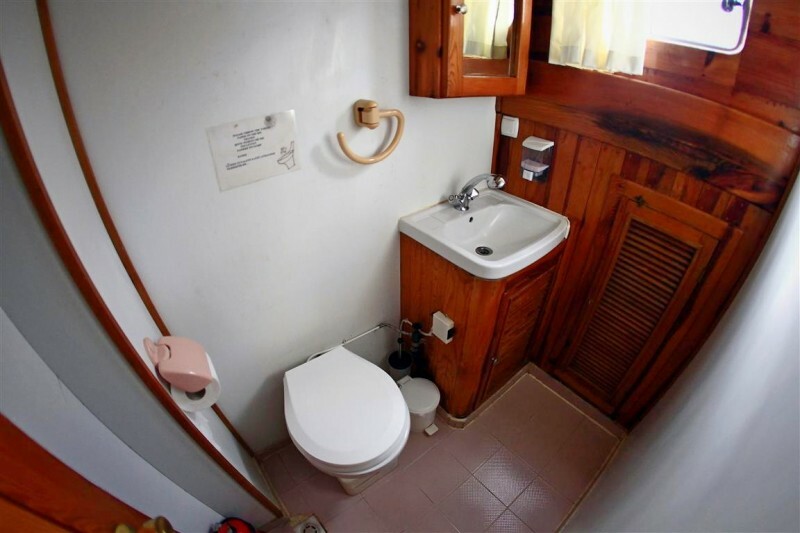 All cabins have their own private shower room/WC, and all have air-conditioning available. 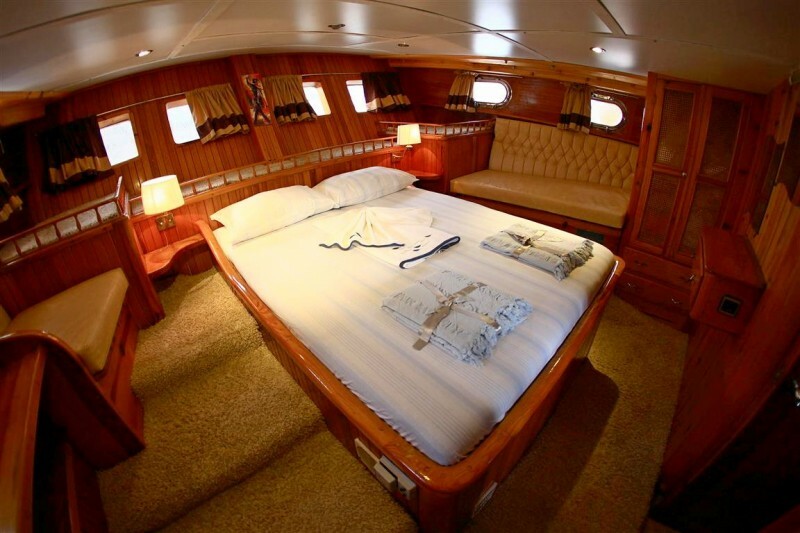 A tidy indoor saloon with a dining nook links the cabins fore and aft, while up on deck, the captain and crew keep the decks neat and in order. 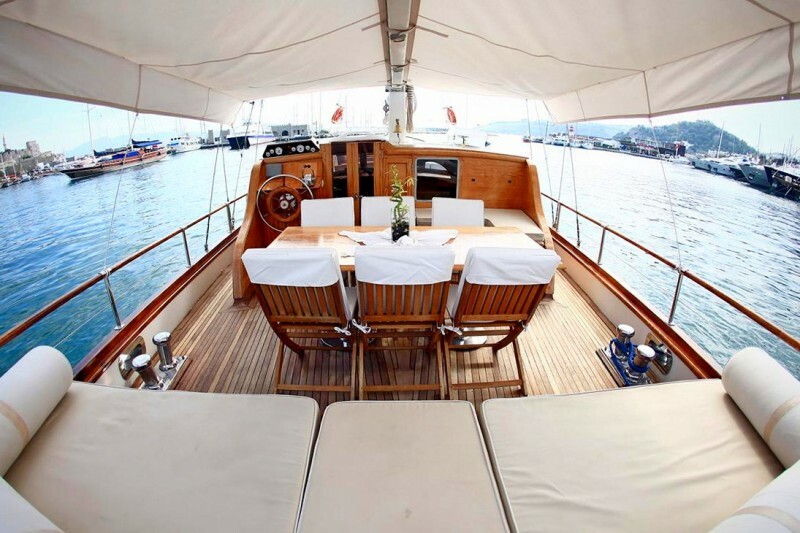 There is space for all the classic relaxation zones, the stern cushion pads, outdoor dining table, and forward sunbeds, and bow bench all invite guests for some very relaxing times in the sun or shade. 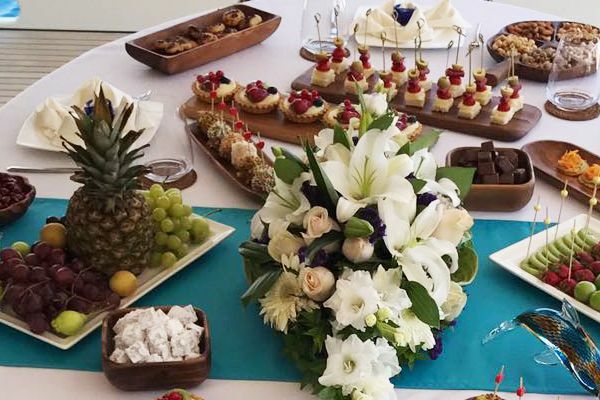 Guests are very well entertained by delicious meals and service by the three crew. 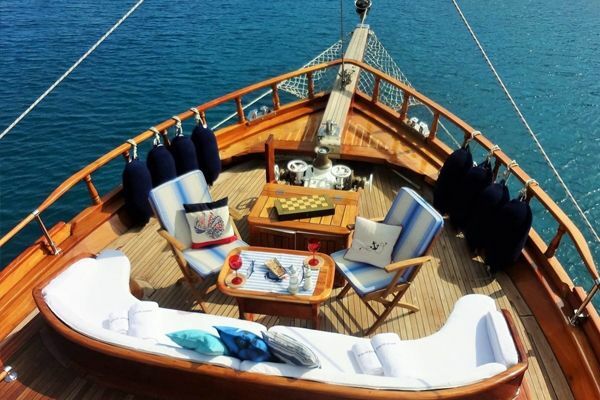 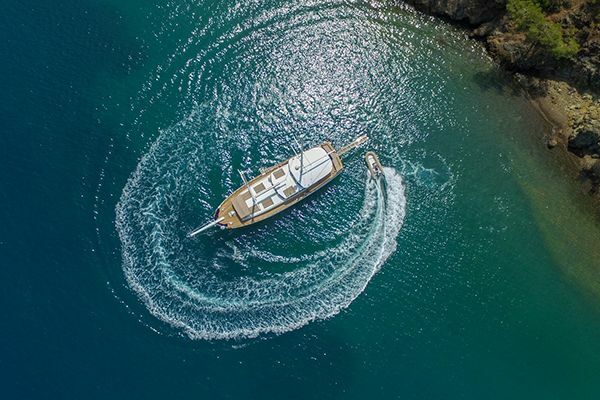 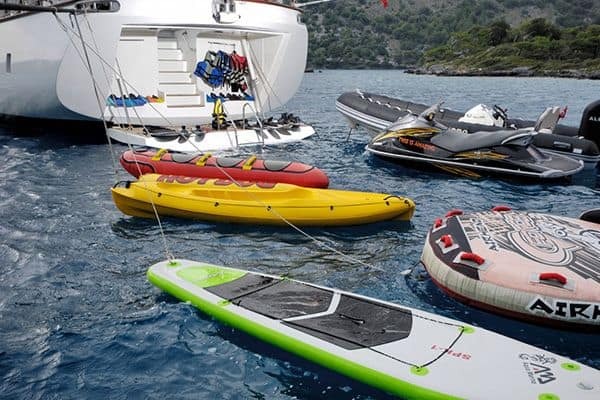 The simple delights of pleasureable cruising along the Aegean coast of Turkey and into the nearby Greek Islands is waiting for you aboard the Denizkizi A gulet.